An unaltered photocopy of your Report of Separation (DD-214, WD AGO, etc.) 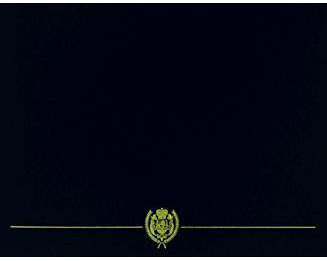 If your service as an Honor Guard Service is not displayed on your Report of Separation you must provide a copy of your Report of Separation -AND- a copy(s) of official military or veteran Organization orders or roster clearly displaying your service as an Honor Guard Service. 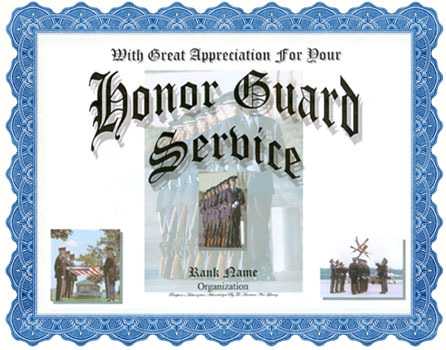 Authorized to Active, Reserve, National Guard and Honorably Discharged military veterans of the USAF, USA, USCG, USMC and USN who serve(d) as Honor Guard Service at military funerals or guarding a national monuments. Please see the Issue Requirements, above.